At 2pm this afternoon, Facebook entered the UK property listings market. 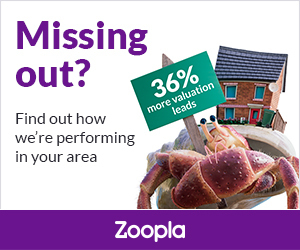 The listings – rentals only at first – are on Facebook’s Marketplace, and are supplied by OnTheMarket and Zoopla. It is understood that Rightmove will not be supplying listings. Both Zoopla and OTM are stressing that exposure on something as well visited as Facebook can only benefit their agents. The stated goal of Marketplace is to connect people through commerce. More than 800m people globally each month go to Facebook Marketplace to buy and sell things (as at April this year). In the UK, a total of 40m people access Facebook every month, including 37m on mobiles. The UK venture follows Marketplace’s property for rent offering in the US, which is said to be highly successful. 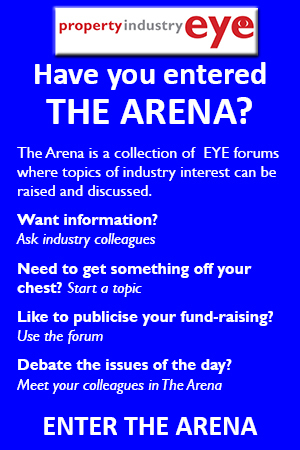 Although EYE has not been able to see exactly how the UK’s property pages will look on Facebook, we are told that they will resemble a portal-style listing. Possible examples are pictured below. 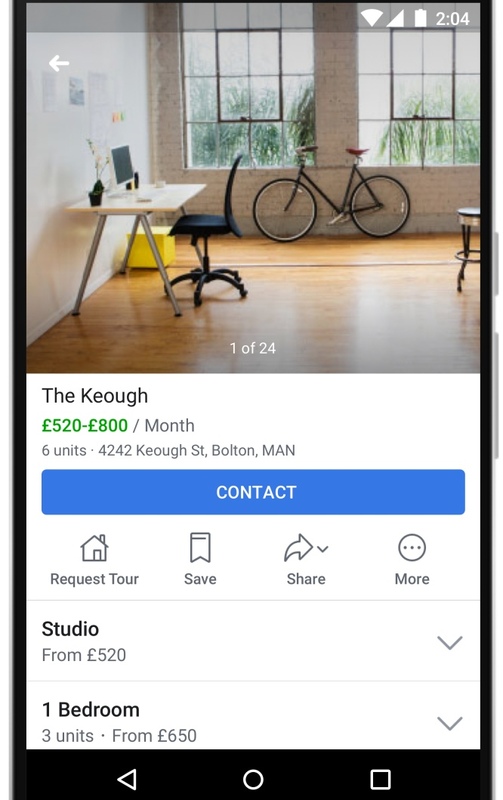 Property searchers will be able to filter property by type, price range and bedrooms, and we believe will be able to make enquiries and book viewings through the Facebook pages. John Milsom, brand director of OTM, said: “We are excited to be working with Facebook Marketplace and to be a listing partner. 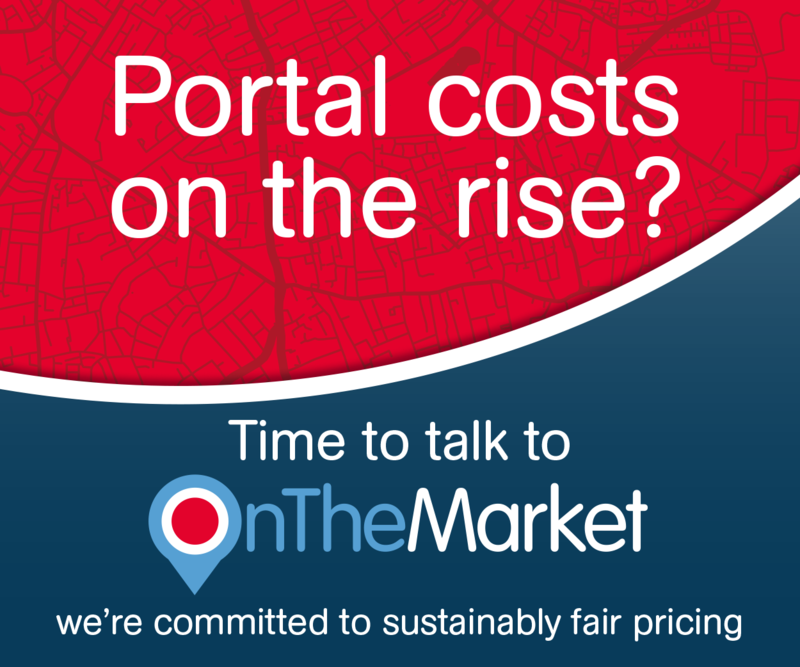 “We believe the quality of OnTheMarket agents’ property content integrated with the considerable scale and reach of Facebook Marketplace’s brand and service is a perfect fit. “We look forward to working with Marketplace to create world-class value for property-seekers and value for both of our businesses. 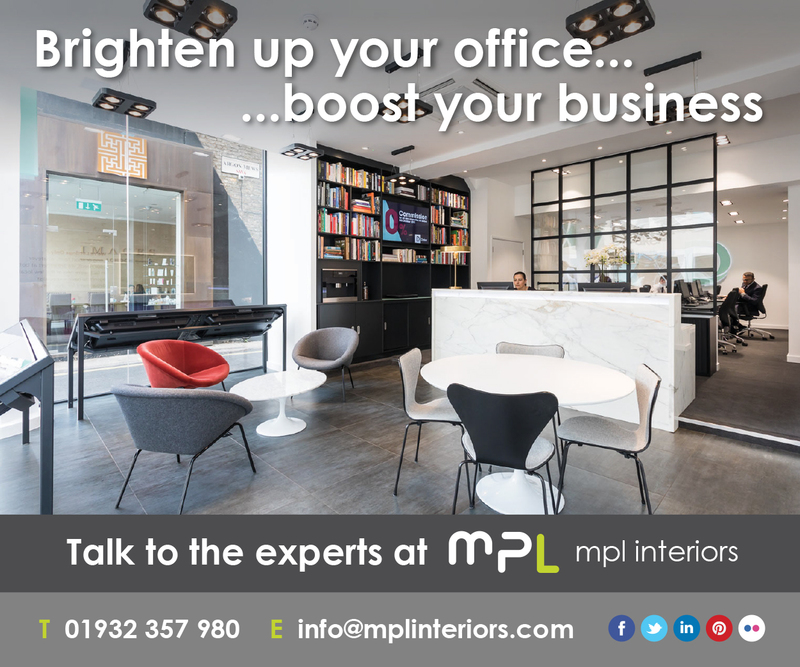 “This integration is another example of how we shall be increasing the exposure of our letting agents’ properties. 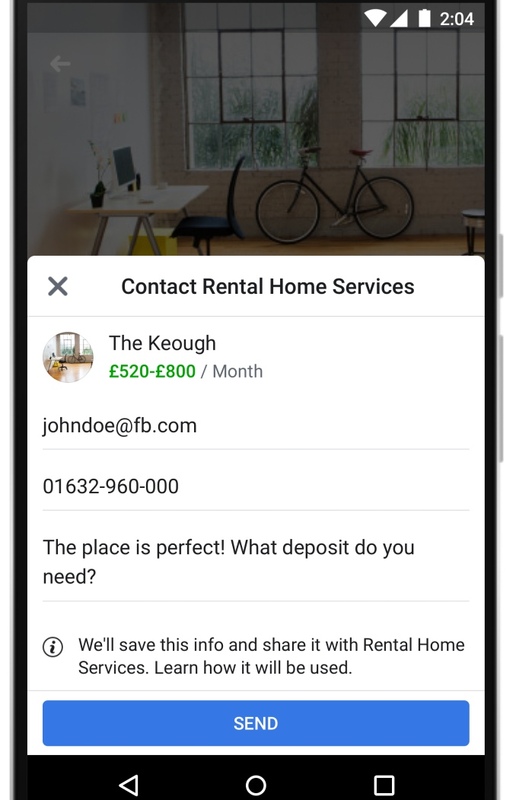 ZPG also confirmed its integration with Facebook Marketplace to distribute its agent members’ rental listings on the platform. From today, it said, almost 300,000 rental properties from over 10,000 ZPG members will now receive the benefit of having their rental listings listed on Marketplace. 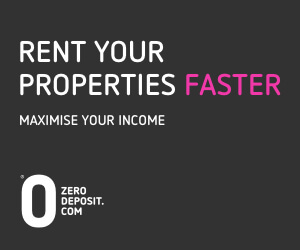 It said the integration will enable people to search for and view rental property listings on Marketplace and then contact the respective agents directly via the usual Zoopla lead process. 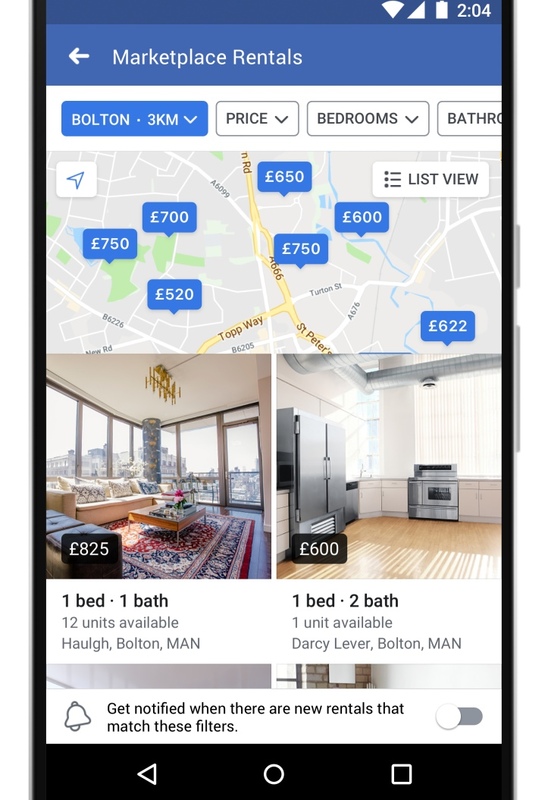 Charlie Bryant, MD of ZPG Property Services, said: “This is great news for our agent members who will now get wider distribution of their listings as well as increased brand exposure with people looking for property to rent on Facebook Marketplace. “This integration extends our position as the best-value digital marketing partner in the UK for agents. “We will continue to provide our agent partners with maximum exposure for their listings and brands along with the widest range of services to help them generate additional leads and revenues. 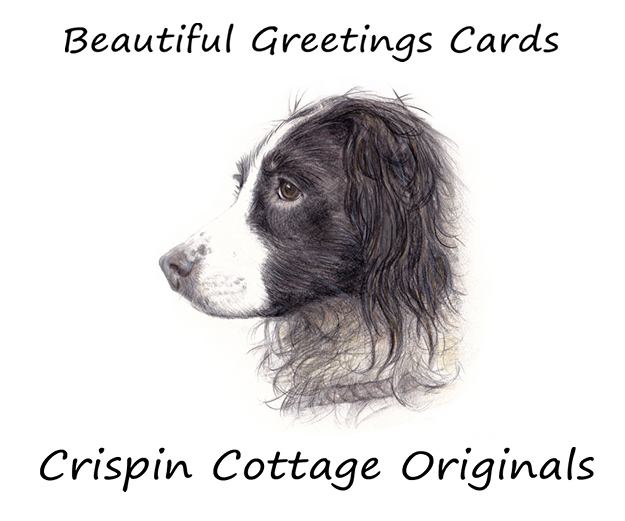 To see the listings we are told that you will need a Facebook account and then look on the left hand side under newsfeed. However, by about 4.30pm, the listings were still not there. In SOME respects (mainly ‘No 5h!t, Sherlock’ factor) – WOW! In most others – the more I think about it I AM ready for a change of career! RM’s largest USP is the traffic on their site. Water it down to providing another site with properties will neggate the need for people to use RM. Zoopla already supply feeds to many ‘third’ parties so a natural step. Er I FLINK the reason might be cos it’s a social network ! If you’re not on Zoopla, you’re on OTM so FB basically get whole of market without having to pay whatever ridiculous figure RM would want. Seems logical use of the platform. Increasingly more multi channel digital marketing will be done by both portals and agents themselves. Coinciding with telling RM they killed the golden goose and can now **** off. So is this Facebook can upload to zoopla and OTM OR is it Zoopla and OTM advertise on Facebook? It’s an affiliate partnership that’s similar to Z feeding properties to Mail Online and the Telegraph.co.uk from what I can understand. Except Facebook get a little bit more people on their website as opposed to the mail and the telegraph. It’s a total game changer! Mmmm…I wonder if RM’s principal shareholders will retaliate by buying Countrywide? Does this mean that Zoopla and OTM are happy to list their properties on Facebook alongside private sellers? Or are FB planning on stopping individuals selling their own homes? I can’t see FB stopping anyone listing their own properties as it is a market place, not an Estate Agents place. So I assume Facebook will be full of duplicated listings if agents are using both portals, and what if Rightmove jump on board? Will make for an interesting user experience. So Facebook will have all Zoopla and OTM stock plus Landlords who choose to advertise privately, surely this will give Facebook more available properties than either? Not really sure what is in this for either, it only gives them a USP over Rightmove not each other and has just created a competitor. Or have i got it totally wrong ? Now private listings will be advertised next to agency listings in a potentially largest portal in the World. Please could someone tell me if this is a disruption, a game-changer, or a revolutionary initiative? Too many game changers come to nothing. Facebook has replaced the local newspapers as the go to place for local news, breaking news and headlines about local issues. Small communities exist entirely on Facebook and as an agent you should already be part of that community as an individual not as a company. If you are you will have less to fear; however it is true that people are already, buying, selling, renting and swapping houses using Facebook. Noting to worry about really, but just another challenge to get your head around. I would say this though. This yet again demonstrates that agents have handed over the most important asset they have to the portals and lost control of it. Their stock and market share……..
On the face of things this isn’t really disruptive or overly concerning. Has anyone here ever used Facebook Marketplace? I haven’t and I don’t know anyone who has. It’s a few clicks to get to the Marketplace and then numerous more clicks to get your required results. Facebook arent stupid but it would seem Zoopla and OTM are. Facebook have been trying to get a foothold in the housing market for a while and now they have it for free. In a few years when there is plenty of traffic going directly to the market place, Facebook will drop Z & OTM and promote private selling and letting of their own. Pay £50 and see your house via Facebook! If I had the time & energy to detail my thoughts however I don’t, so, DUMB & DUMBER sums it up in 2 words! Didn’t the EA software house puff daddy or Web daddy try this a few years ago via an app and fail? It’s all spin to fleece agents with higher fees at a later date.